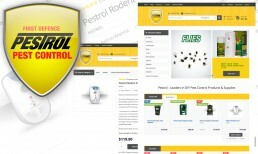 Pestrol wanted an eCommerce platform that was SEO friendly, Mobile Friendly and a simple online shopping experience. Pestrol had a number of integrations that needed to be setup in order to streamline their online business process. The result is a fully functional platform, integrations with Accounting, Social, Email Marketing, Shipping platforms. An advanced analytics, tracking & feedback system was installed to monitor consumers habits, receive feedback about products & more.